5 Therapeutic Weighted Blankets for therapy needs. Buy them Right Now! 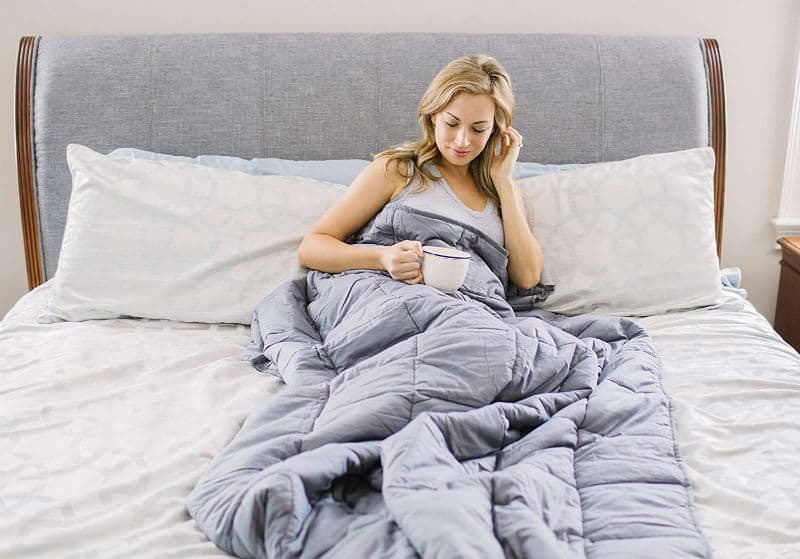 Home » Product design » 5 Therapeutic Weighted Blankets That You Can Buy Right Now! Do you know that therapeutic weighted blanket is good for anxiety? In a 2008 study published in Occupational Therapy in Mental Health, use of a 30-lb weighted blanket resulted in adult participants reporting lower anxiety (63%), lower physiological data (blood pressure, pulse rate, pulse oximetry), and positive calming effects (78%). 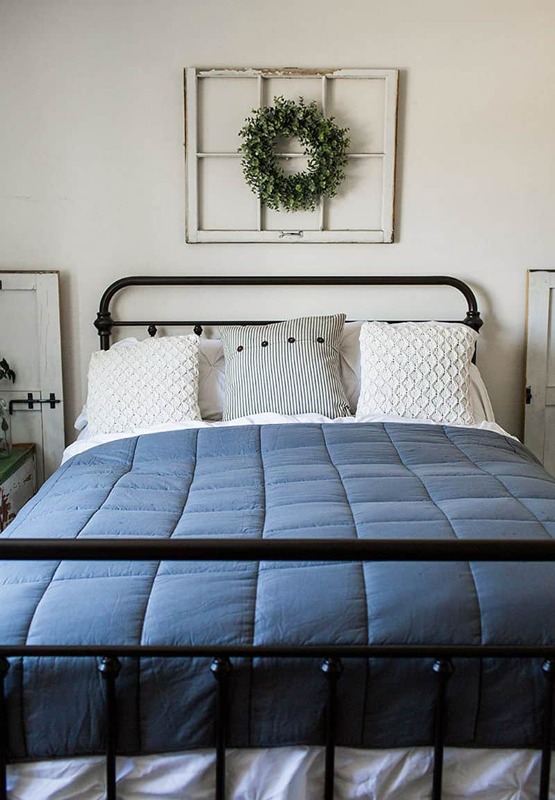 Weighted blanket use in mental health settings, proactively and in crisis situations, had a calming effect that was reported to lower stress and provide a coping strategy in times of anxiety. (source) . In the other ways, I thing a good therapy for people with different disorders is meditation with stunning sea view of Chaweng Bay in front of you. Infinity pools and water’s sound calm and relax your body and mind. What is a weighted / heavy blanket therapy? A weighted blanket provides pressure and sensory input for individuals with autism and other disorders. 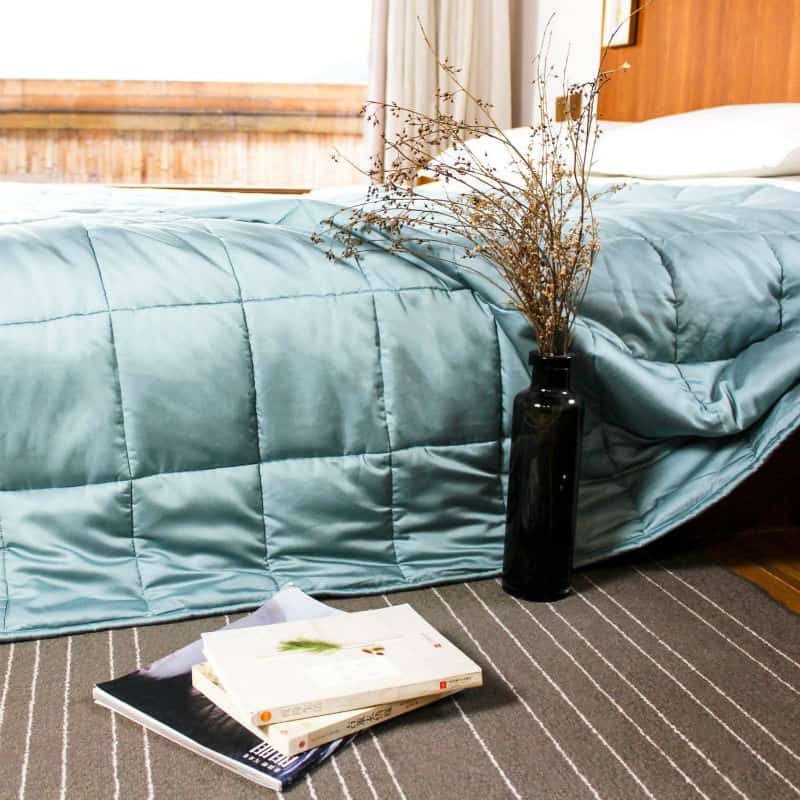 A weighted blanket can be used as a calming tool or for sleep. The pressure of the blanket provides proprioceptive input to the brain and releases a hormone called serotonin which is a calming chemical in the body. Blankets are filled with non toxic commercial grade homo natural grade polypellets. These are a safe plastic filling for the weighted blanket. The deep pressure provided by weighted blankets is intended to have a calming, organizing effect. Weighted blankets are similar to weighted vests. Since we know that proprioceptive, deep touch pressure helps to release serotonin, a neurotransmitter that helps to regulate some brain functions, weighted blankets are used to help with sensory modulation and regulation. Wighted blanket for adults. But not only! Adults, teens, and children can benefit from weighted blanket therapy. The weighted blankets are a safe and effective non-drug therapy for anyone seeking a solution for loss of sleep and relaxation. Therapy with this hug blanket is SIMPLE! Use it as a blanket at bedtime or nap time for the compression needed to create a calm rest. These blankets work by providing input to the deep pressure touch receptors throughout the body. Deep pressure touch helps the body relax. Like a firm hug, weighted blankets help us feel secure, grounded, and safe. In this article, we will look closely at the use of weighted blankets and how research supports the use of this intervention. Another study found that weighted blankets could be a sleep aid for people who experience insomnia. Their research indicated that the participants’ sleep time increased, and movements during sleep decreased, with weighted blanket use. Subjective data in this study was overwhelmingly positive, with subjects reporting they enjoyed using the weighted blanket during sleep. Here are 5 weighted blanket on Amazon. Take a seat! Relax and order your favorite one! Let’s start! YnM is a premium-grade, therapeutic weighted blanket that harnesses the power of deep touch stimulation to gently distribute deep pressure across your body. The heavy blanket helps relax the nervous system by simulating the feeling of being held or hugged. This increases serotonin and melatonin levels and decreases cortisol levels which improving your mood and promoting restful sleep at the same time. The relaxing sensation helps to soothe your body’s muscles, making you fall asleep faster and sleep better throughout the night. It provides great all-natural sleep therapy for people with anxiety, autism, ADHD, insomnia, RLS (restless leg syndrome), bodily aches and pains, or stress. YnM weighted bankets provide the gentle sensation of being hugged or held, which can help to relieve anxiety and improve overall sleep quality. Glass beads are sewn into individual pockets and surrounded by soft, light fiberfill to eliminate noisy shifting while you sleep. Great blanket for calming anxiety and helping you fall asleep faster! Overall these blankets are less expensive than I see with other competitors so I think it is definitely a worthwhile purchase for anyone dealing with symptoms of anxiety, depression, adhd or just people who want to have a better quality of sleep. Would highly recommend! 2. Try the KOZEE CALM EXPERIENCE! These blankets act as a calming tool by providing pressure on touch receptors throughout the body. Deep pressure touch helps the body relax. Like a hug or swaddle, weighted blankets help people feel at ease and raise melatonin levels – It is what we like to call the KOZEE CALM EXPERIENCE! WHY BAMBOO? Bamboo’s soft, silky feel and its breathability are designed to appeal to those who seek the very best in natural luxury. Bamboo is 3 degrees cooler than cotton and wicks moisture away from your body. 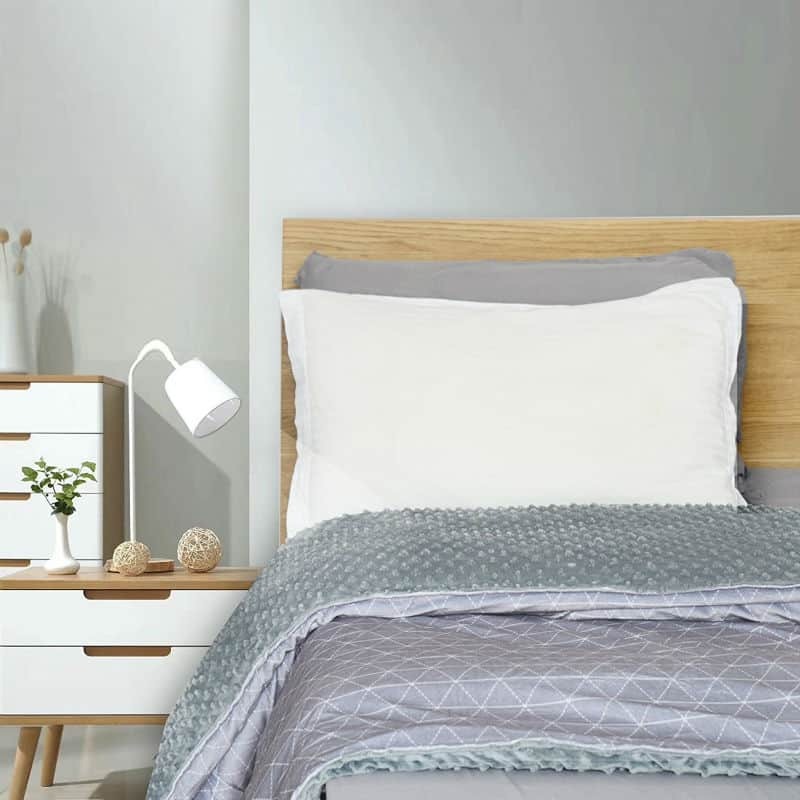 Bamboo is a fast growing, renewable resource and its use in our blanket covers makes this premium cover one of the most eco-friendly products on the market. Therapeutic weighted blankets are perfect for therapy needs. Designed to improve sleep, reduce stress and anxiety, ideal for autism, insomnia, sensory disorders. positive impact on sleep time and behavior. A general guideline when deciding on your blanket’s weight factor is to multiply your child’s body weight by 10% and add 1-2 lbs. depending on preference. So a 50 lb child would be given a 5 lb weighted blanket on the low end and a 7 lb. blanket on the high end.